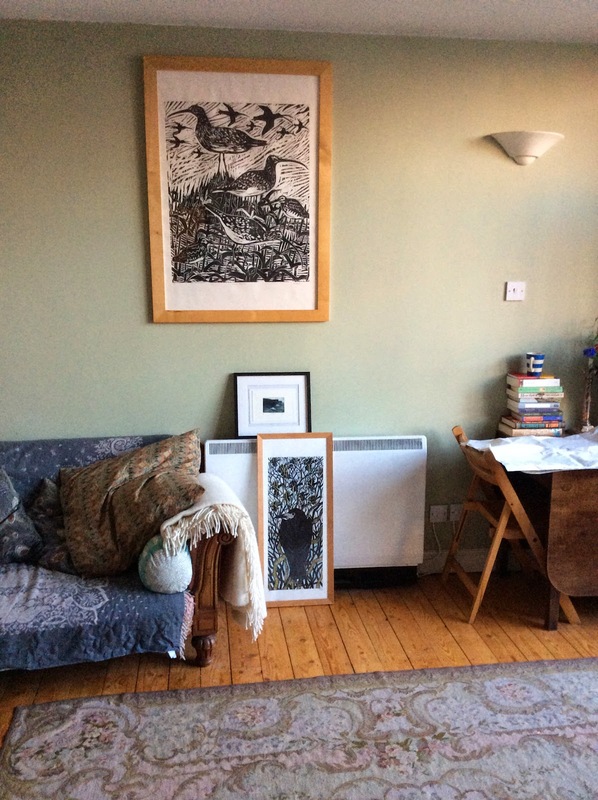 I'm having one of those moments that I assume are familiar to all enthusiastic book owners and collectors (or perhaps more accurately in my case hoarders) where I feel totally overwhelmed by the number of books hanging around the place. They're everywhere. In an attempt to eat at a table tonight I had to move a pile of them only to realize that if they went on a counter there would be nowhere to prepare the food - and then I started looking for a specific title (The Bloomsbury Cookbook)... I couldn't find it in the pile of books I'd bought myself, the pile that I mean to read very soon, the pile I keep by the bed, the pile of review copies that I'm committed to getting around to soon, or the pile of review copies that I've had for a shamefully long time. 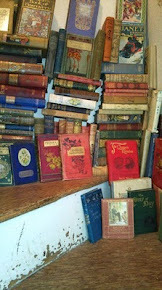 It didn't seem to be among any of the piles of books read but still looking for some sort of permanent home or in any of the wooden wine boxes enjoying a new life as makeshift book shelving. I was quite surprised when I found it in the last place I looked - with the other cookbooks - where it doesn't really belong yet because I've not had a proper look at it. 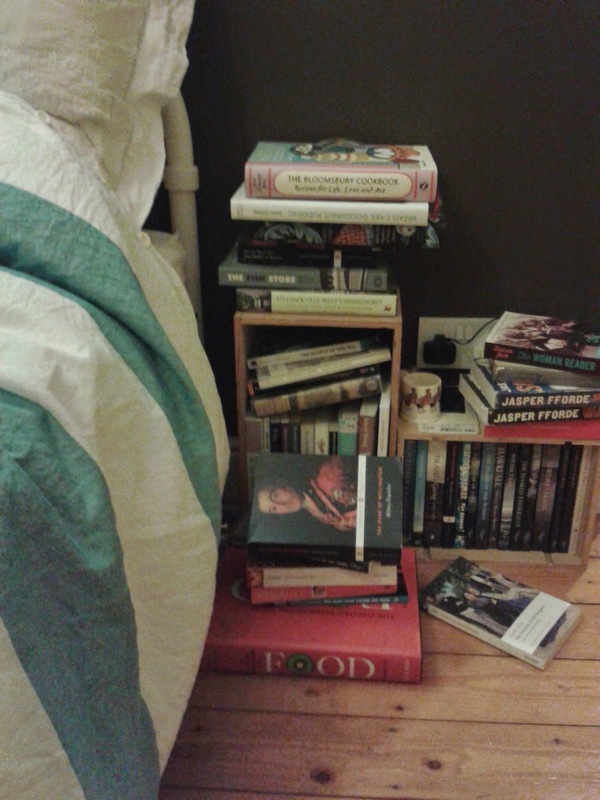 Now I have located it I'm not sure which pile (bedside books I've bought myself and not yet read, sitting room books I've bought and not yet read, books I'd quite like to review soon because I'm specifically excited about them, or back in the kitchen) it properly belongs in. 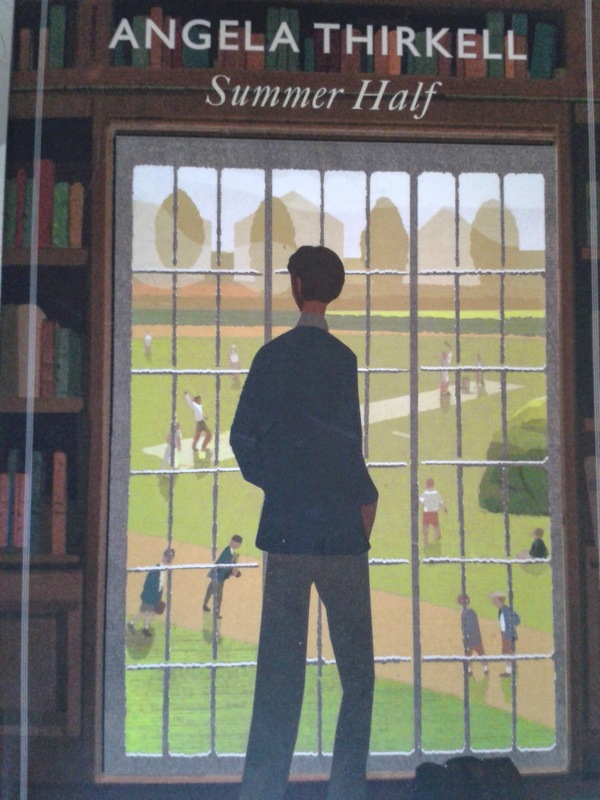 'Summer Half' was the only book I managed to finish on holiday, I'm easily distracted at the moment - maybe it's the heat - but Thirkell is amusing enough to hold my attention which is one good reason to love her. I've said this before, and doubtless will say it every time I re read one of her books (or find one that's new to me) but she's a writer that improves with acquaintance. I've read all the current Virago releases before but they're proving far more rewarding second time round. I think there are probably a couple of reasons for this - the most obvious is that I'm more attuned to Thirkell's sense of humour now that I'm more familiar with her, she can be quite subtle so it's easy to miss bits first time round. The second reason is that I've read more around her since I first read these books. I now recognize the Trollope references along with some of the others, and am better at recognizing when something probably is a reference all of which adds layers to her writing. It possibly also helps that I'm now in the best part of the series - I haven't read any of the later books but am told they become increasingly formulaic, the very early ones have a tendency to a casual antisemitism that I find disconcerting but that seems to crop up less as the books go on. I imagine somebody somewhere must have researched this but it's a curious thing observing how general attitudes change towards Jewishness in middle brow fiction. I'm reading Zola at the moment and he's having a sly dig at attitudes in France. 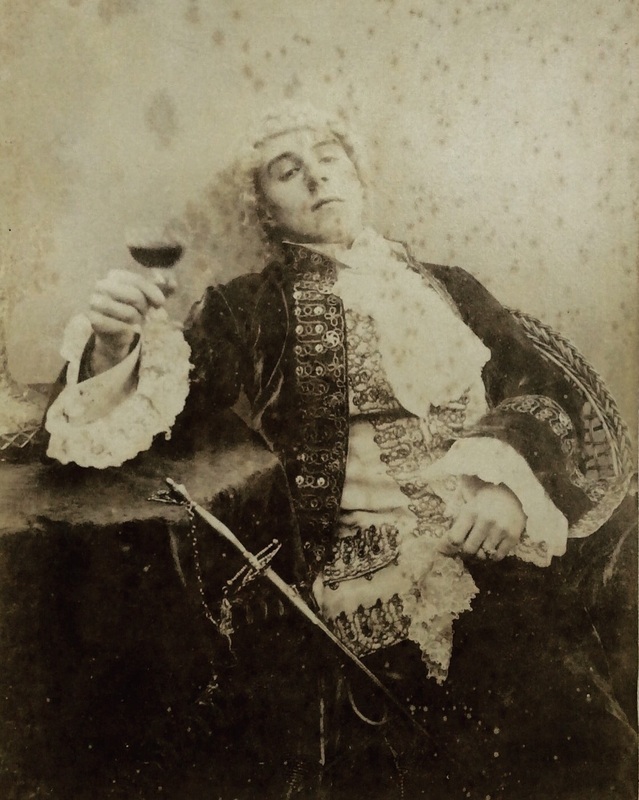 Most Victorian writers I've read have displayed what was clearly a common prejudice and this continues well into the 1930's but from my reading I would guess it suddenly becomes less acceptable, less politically correct perhaps, as those uncomfortable references start to disappear. There is also a particular poignancy to the pre war books - this is a world of comfortable middle class living which would never exist again; servants are plentiful, standards are set, and the world seems a uniquely secure place for these characters full of comfortable certainties and afternoon tea on the lawn. Plot wise not so very much happens, young Colin Keith is training to be a barrister but wants some financial independence from his father so takes a job as a junior master at a local school. There is plenty of discussion about boys - also poignant - boys like this may still exist in the grandest private schools but mostly they have turned into teenagers which on the whole doesn't sound like much of an improvement. There is also the obligatory romance and a fair amount of humour booth of which are extremely satisfactory but what makes Thirkell special and worth being reprinted and reread are her occasional moments of observation and insight. "Oh yes, that was awfully funny,' said Fairweather Junior. 'It was a man selling little books. One of those blackshirt fellows, you know like Puss in Boots in a polo jersey. I don't know why, but it was awfully funny. Lord! It was funny!' he added breaking into laughter again. 'I'll tell you another funny thing about those blackshirts,' said Lydia. 'No one knows who they are, or where they go. I mean, have you ever seen one, except standing on the pavement in waders, looking a bit seedy? You meet quite a lot of communists and things in people's houses...But you never go to tea with someone and find them sitting there in their boots." It's not much but it says a lot about attitudes in Britain in around 1936 (the book was originally published in 1937) and about Thirkell's attitude inparticular. Fascism may have been alright for the lower orders and a few eccentric aristocrats but for decent middle class people it clearly wasn't the done thing. The earnestness of young communists is mocked in a friendly way in the assumption that they'll grow out of it but at least it has a sort of drawing room respectability. 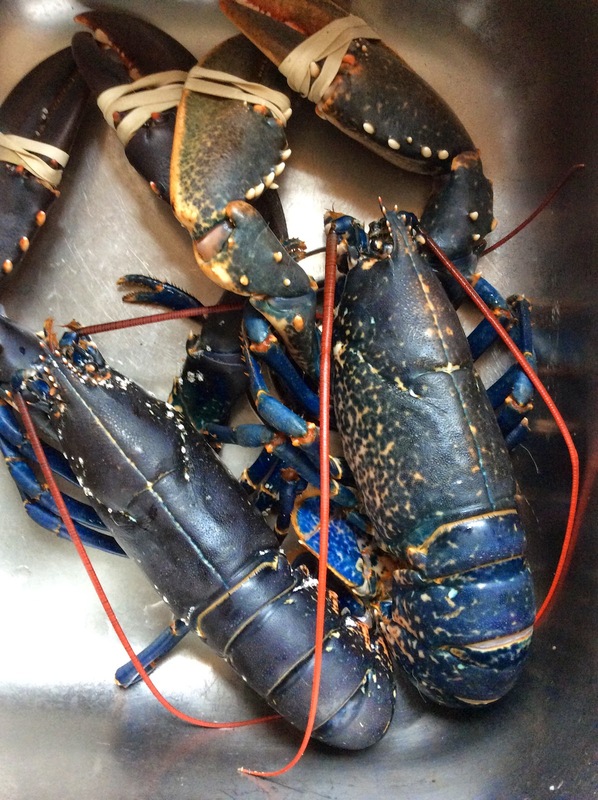 Dinner (vegetarians look away) getting dad to cook lobster for me is a holiday tradition, as is the drive to get them and then listening to them try and escape in the back of the car. 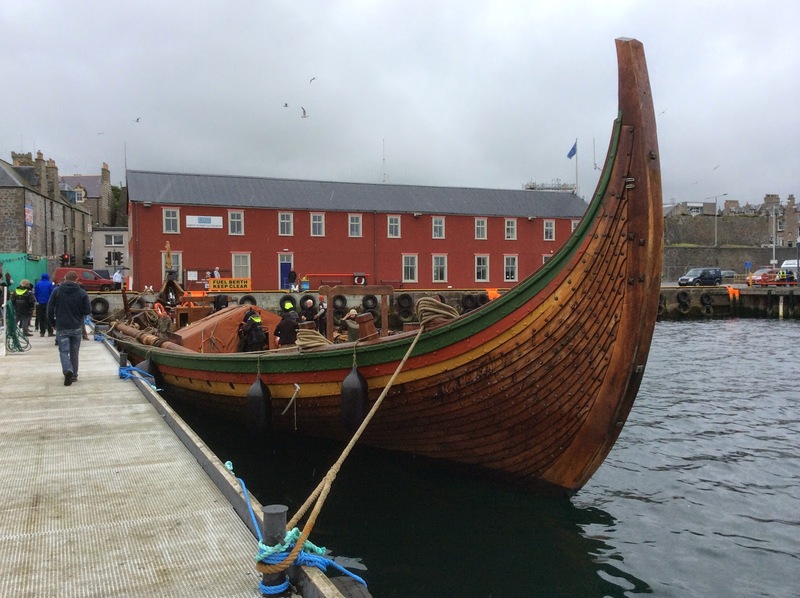 Not quite as reliable a tradition but by no means an uncommon holiday experience if you favour Scottish islands is stumbling across a replica viking ship. This one is the largest of her kind at 115 feet and is apparently more of a re-imagining than a replica. Possibly a replica would have been a better bet as the mast of this one (Draken Harald Harfagre) snapped in the middle of the north sea. Fortunately nobody was hurt but something that looked a lot like a very large tree trunk (because that's exactly what it was) snapped like a match stick. Impressive boat though. This is the view from the museum cafe where they sell huge and delicious scones. The scones are really very good indeed (so good) the view is nice too, even when it's misty. A lot of the boats belong to the museum and there's a refreshing lack of safety rails. knitwear and wool, because I can't get enough of it. 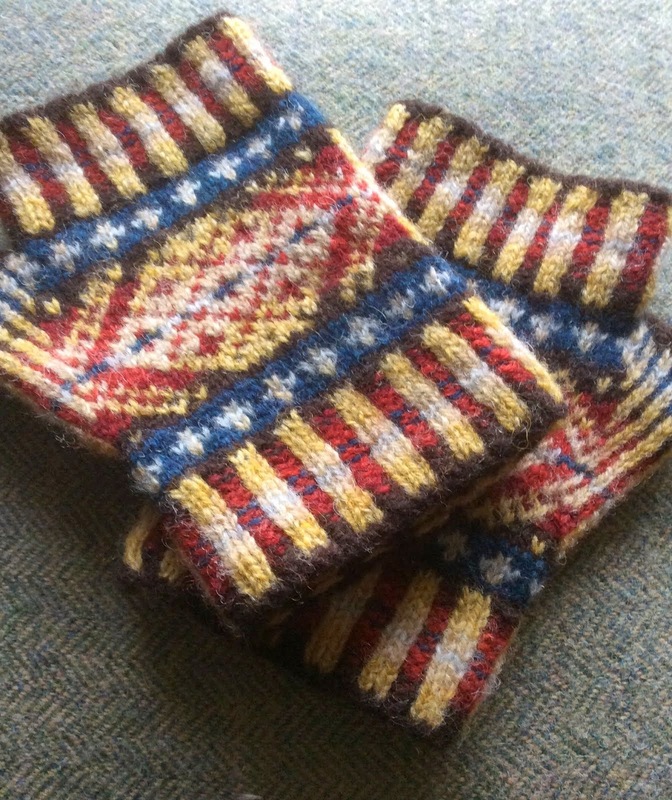 Sadly not so many people are knitting commercially in Shetland any more, some of the older generation do, but their daughters aren't keen to - perhaps because for so long it was one of the only options for women work wise and it was liberating to get away from it. 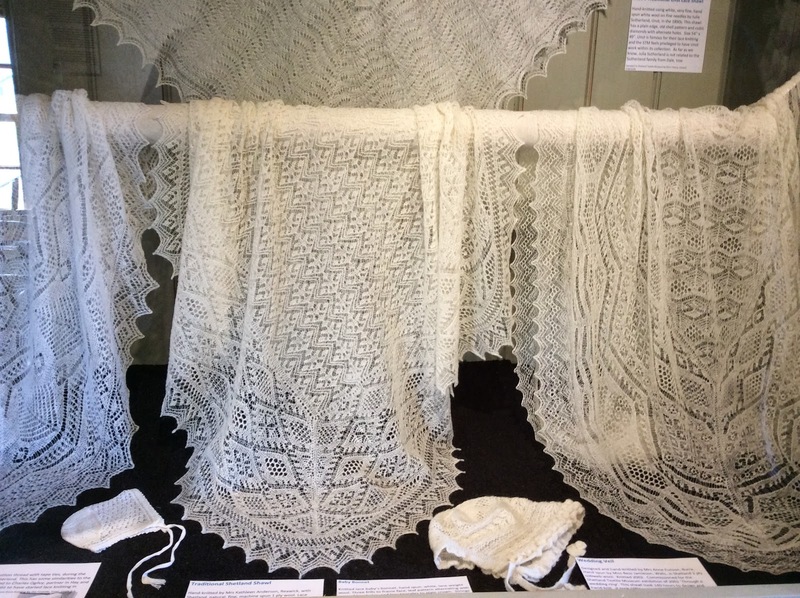 Knitting is no longer taught in schools (a shame) so I guess we just have to hope that enough people will decide to take it up to keep this particular tradition alive. 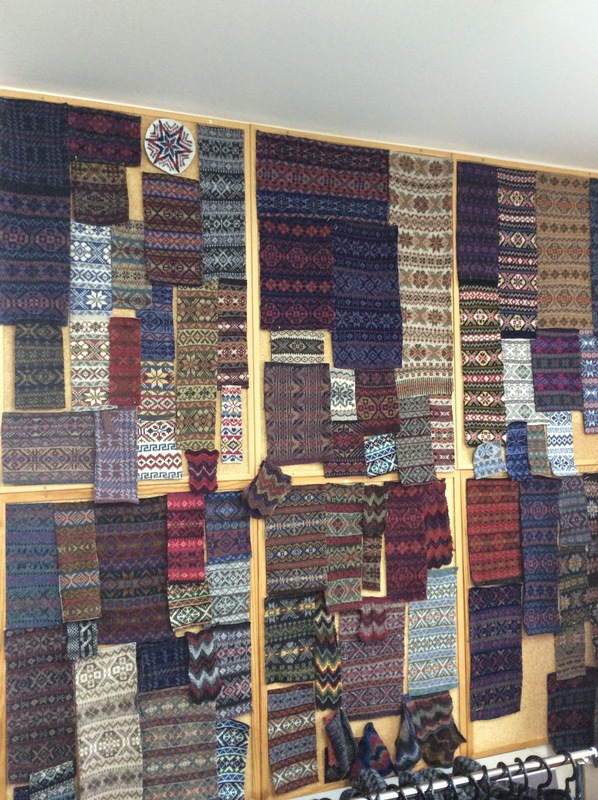 This board of colour ways is from Shetland Designer (wonderful luscious colours which catch bit of the landscape) where I got thoroughly over excited. And now all I have left to do is find a home for the pictures I bought back. 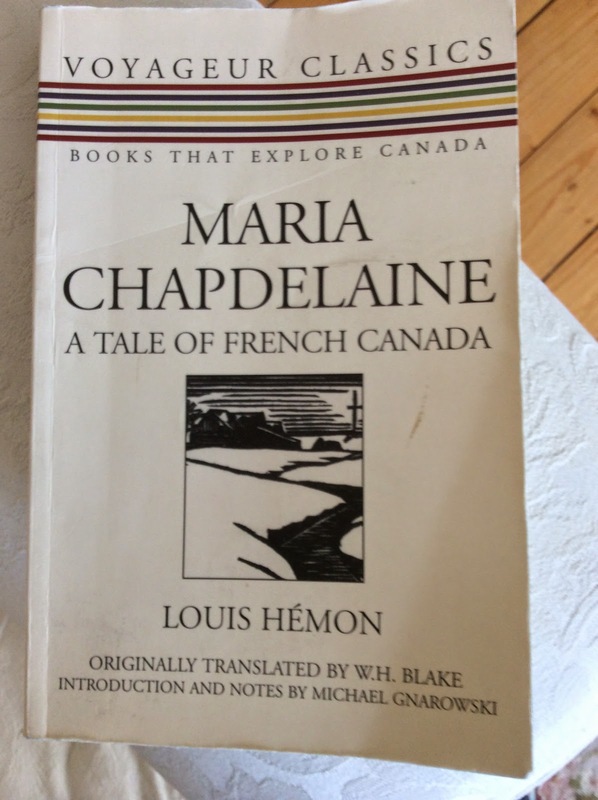 'Maria Chapdelaine' came my way as a postal book group read, as a classic of French Canadian literature it's perhaps not entirely surprising that I'd never come across it before but it seems it's required reading in Canada (presumably all of Canada and not just the French bits?) has been filmed at least 3 times and is well translated. My knowledge of Canadian literature is limited but positive so it was a bit of a bonus to get a chance to read this, it proved to be every bit as good as I could have hoped for. On the whole it's a simple enough story, Maria and her family live somewhere on the frontier in Quebec carving a farm out of the wilderness of forest there. Maria's father is a born pioneer and this is the 5th farm he's win from the land - as soon as the work is completed he feels the urge to move yet further north and start again. It's a harsh way of life in a country that is 7 months severe winter, and living 8 miles from the nearest hamlet but it's also the life that he's compelled to live, and despite his wife's desire for life in a parish where she would have neighbours she's content too. Maria hasn't questioned what she really wants from life at the beginning of the book, but 3 potential suitors and 2 deaths will change all that. First there is the man she falls in love with and who loves her in return. It's a chaste courtship - a couple of meetings - but enough for a deep understanding, when the man dies in a snowstorm on his way to see her Maria is quietly devastated. 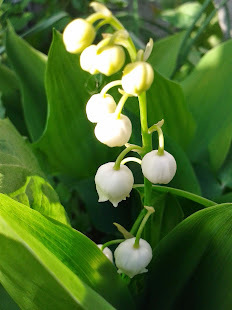 Of her remaining suitors one offers her a new life of relative ease in America, the other - a neighbour can only offer her more of the life she knows. For Maria who likes but doesn't love both men the choice initially seems simple; America, far away from the forest she's coming to hate for taking her man from her. The death of her mother makes Maria think again though, without love the prospect of a life away from family and culture she knows is to much, a secondary consideration is that her family suddenly needs her to hold the home together. A couple of years ago I saw an exhibition in Shetland that traced the lives of some of those who had emigrated, this book describes the life that dome of them would have found. 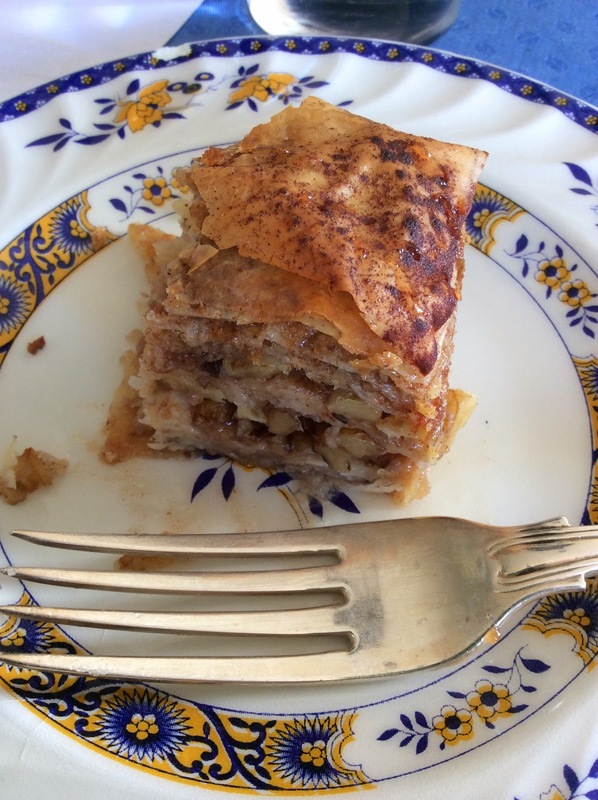 Despite 300 years in the country there is still a sense of being French as well as Canadian, and what Hemon presents us with is a hard life but a rewarding one for these people are making something fundamental. He doesn't disparage city life as such but there's a definite belief in the noble peasant. In the end though it's the description of Canada, and the people of Quebec that I think will stay with me. The harsh farming life undertaken on the edge of viable country isn't entirely unfamiliar to me, though the freezing winters are, but I've never experienced the vastness of a country like this and it's something I long to see. Well I'm back from my holidays and back from a typical Monday at work, it already seems like a long time since I was away - how is it that 24 hours can feel longer than 2 weeks? To get over the shock to the system coming back to Leicester always is I'm planning on a few picture based posts to remind me of time away (shamelessly self indulgent but there you go...). 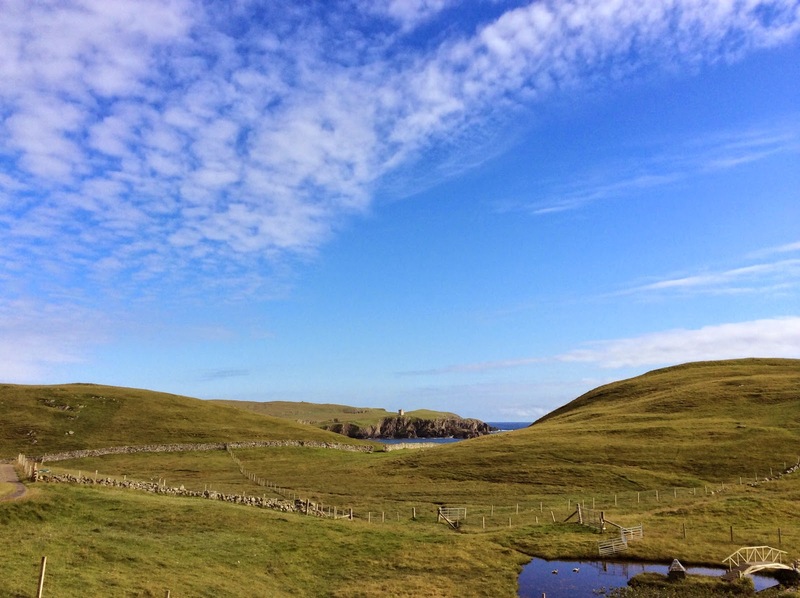 My yearly pilgrimage to Shetland is partly because I love it there, in some way it will always feel like home, and they have a lot of Puffins (who couldn't love Puffins) but mostly it's also for the people. My father has finally slowed down enough for me to keep up with him (well almost) and there is other family as well as friends all of whom I'd like to see much more often than once a year. There's also a bitter sweet element to that though - we're all getting older (as somebody who's last birthday had a zero in it I'm a bit over sensitive about aging at the moment) but even so there's something about seeing someone hit 80 (and seeing 80 hit back) that's an effective memento mori. 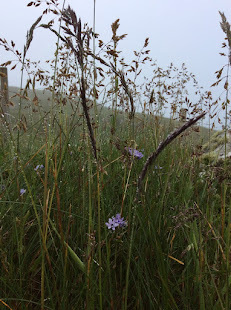 All of which was meant to be a breezy lead up to some photos of a fabulous Victorian house in Unst, which means you can add most northerly in Britain to it's general claims to fabulousness too. 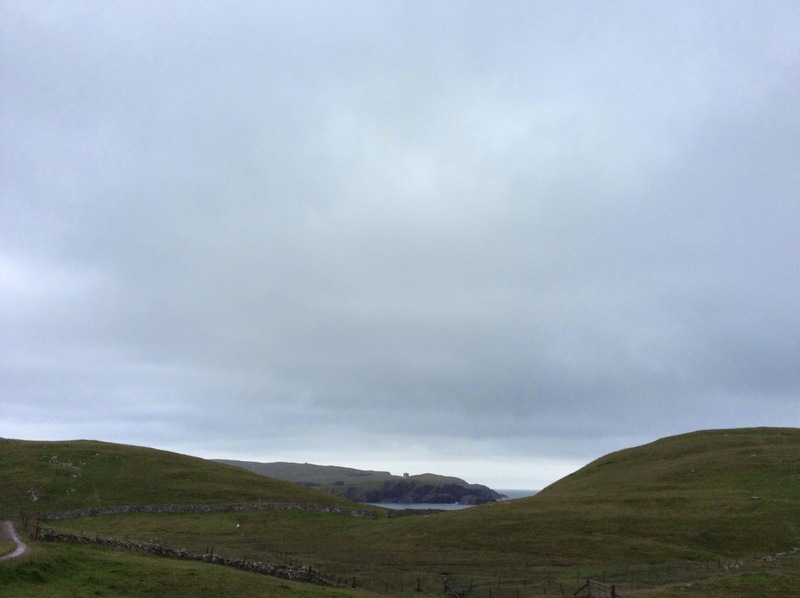 To get to Unst you have to get to mainland Shetland, travel north, take a ferry to Yell, cross yell, and then take a final ferry to Unst (unless you have a private plane in which case everything is probably easier) it takes a while. Buness house isn't actually Victorian - that's just when it appears to have had it's last major redecoration. 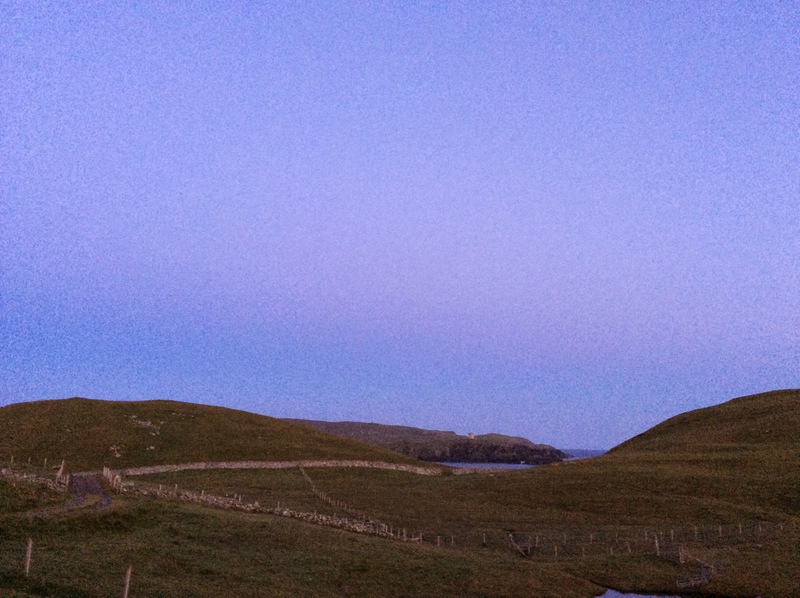 It belongs to the Edmonston's who have been there for something like 400 years and who believe the site goes back to Viking times - quite likely, Unst is stiff with Viking remains. It used to be a bigger house but the current owners mother decided it was more space than she needed so she had a wing blown up. It's currently a B&B but if you plan on staying in it bear in mind your host is now 80 and it's always been a little chaotic. If anybody at all would like to take a guess as to what's going on in the picture with the naked girl tied to an alter, some worried looking puritan parents, and a monk... On second thought perhaps best not to speculate. And as for the young lady with the candle and the come hither look - she's definitely a corrupting influence for a young mind. After the nursery it had to be the library. It's mostly military memoirs and other equally gentlemanly books, including a lovely run of Blackwoods magazine from the 1850's. i wish i'd had a lot longer to explore (be blatantly nosy) but time was short so I settled for a few pictures and came away with a burning desire to read Wellington's dispatch notes. 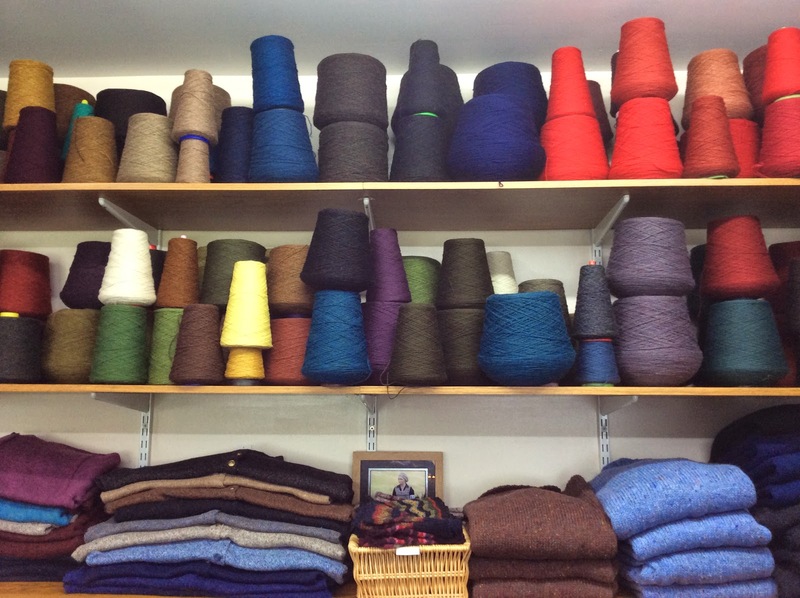 One of the many things I love about Shetland (long light summer days and invigorating temperatures are two other things) is wool. 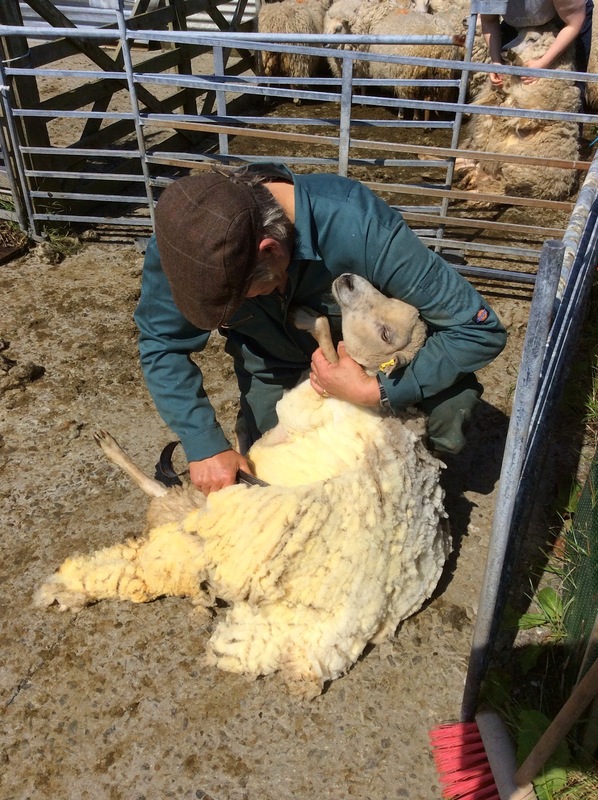 Until recently dad kept sheep and as a child their needs punctuated the year (lambing, clipping, dipping, selling) now is clipping time which has given me every opportunity to observe wool from animal to jumper - a process I'm here to share! 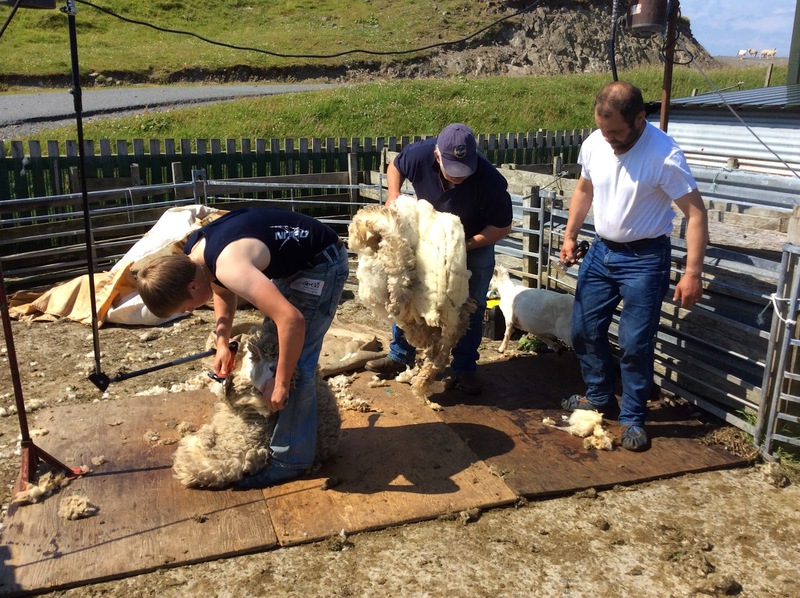 It starts with a sheep, the ones at the top are being sheared with something that looks not unlike the clippers a hairdresser might use, but my father who still likes to keep his hand in favours his old clippers. They're a design which has been in use for god knows how long, I've seen identical ones looking ancient in museums. 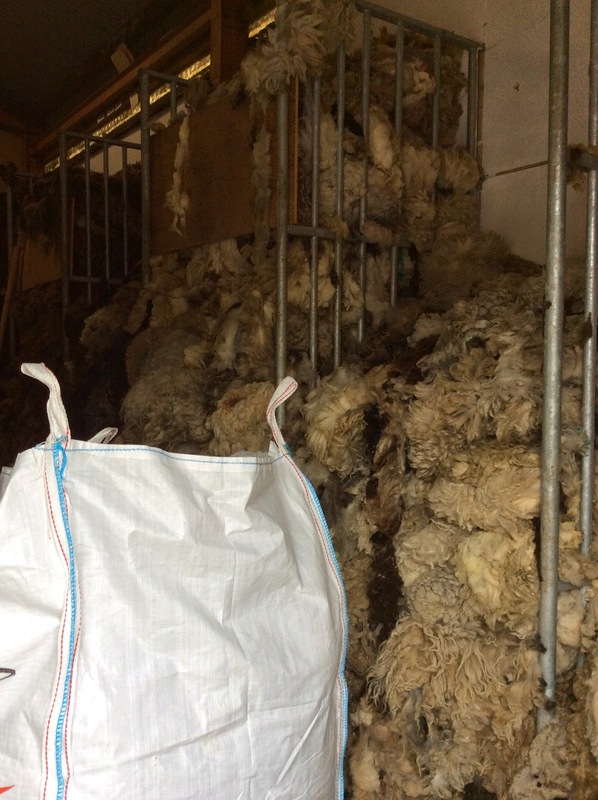 Next raw wool goes to the wool broker where it will be cleaned, carded, and generally sanitised. 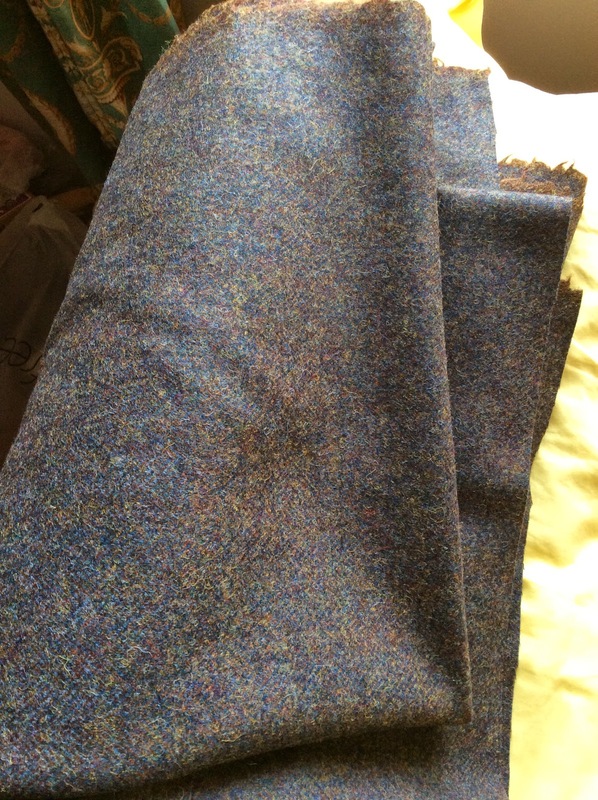 After which it might be dyed... 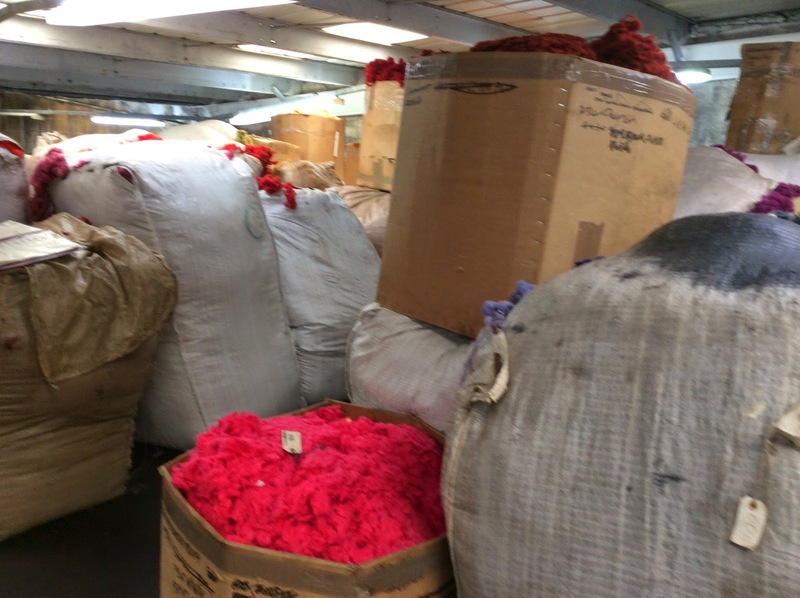 I love these bales of coloured wool, this picture was taken in the loft of the local mill where wool becomes yarn to be turned into knitwear and tweed. 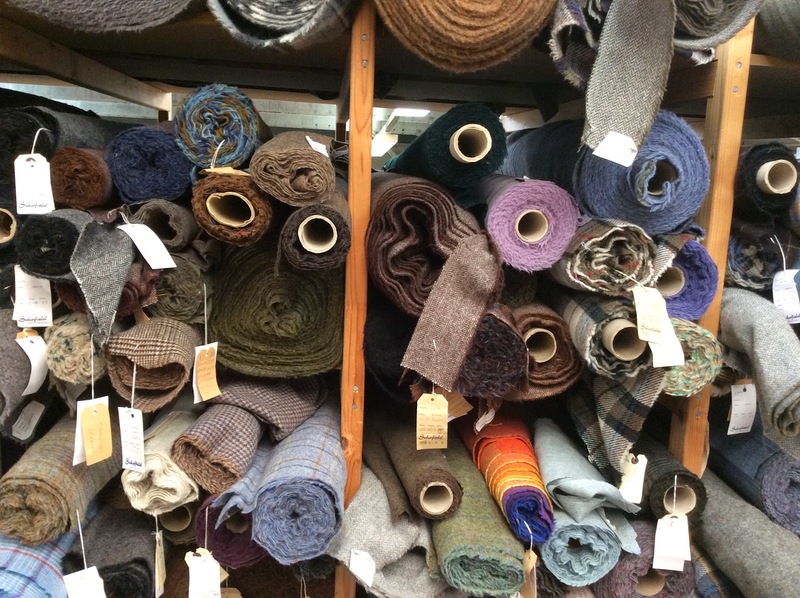 It's a magical place for anyone who likes wool. could sew with some level of competence. 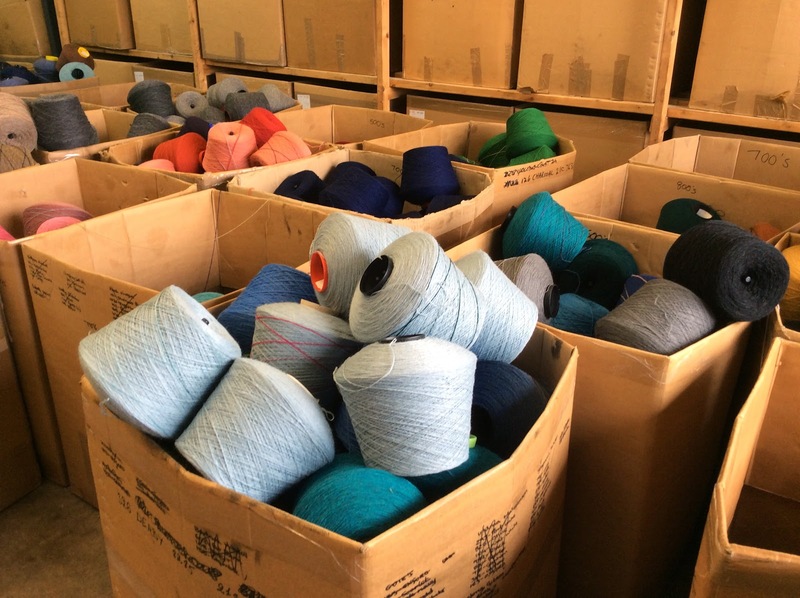 The yarn in the boxes is mostly destined for knitting machines. Because I'm not always as organised as I'd like to be it turns out that it's 100 years and a day since Maxwell was born. Regardless of actual dates I wanted to take a moment to celebrate a remarkable twentieth century figure. Happily for the reading public there is a decent edition of his best known book Ring Of Bright Water from Little Toller, and of the book that remains one of my favourite ever - Harpoon at a Venture was happily resurrected by Birlinn last year. Their edition is splendid, complete with even more pictures than the disintegrating old Penguin I have cherished from new. Maxwell was a troubled and troubling figure but his writing is magnificent, books which aren't in print are still easy enough to get hold of, read him! An odd coincidence but as I published this post I looked out of the window to see an otter in the garden pond. I always hope to see them when I'm in shetland - they're reasonably common here, but it's still not often you get one in the garden. Unfortunately the almost simultaneous discovery that sheep had also got in and were happily munching on one of his prized trees meant dad had to rush out with the dog to evict them. 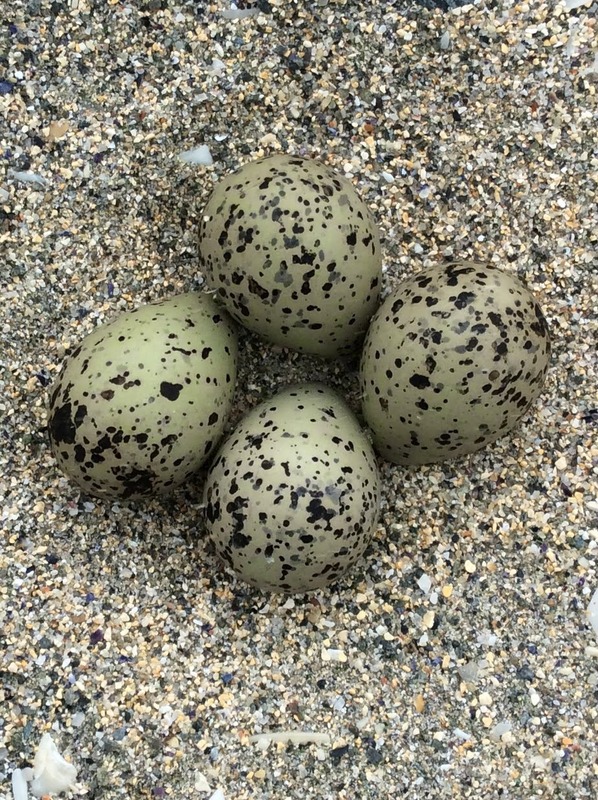 It scared off the otter too so no pictures. 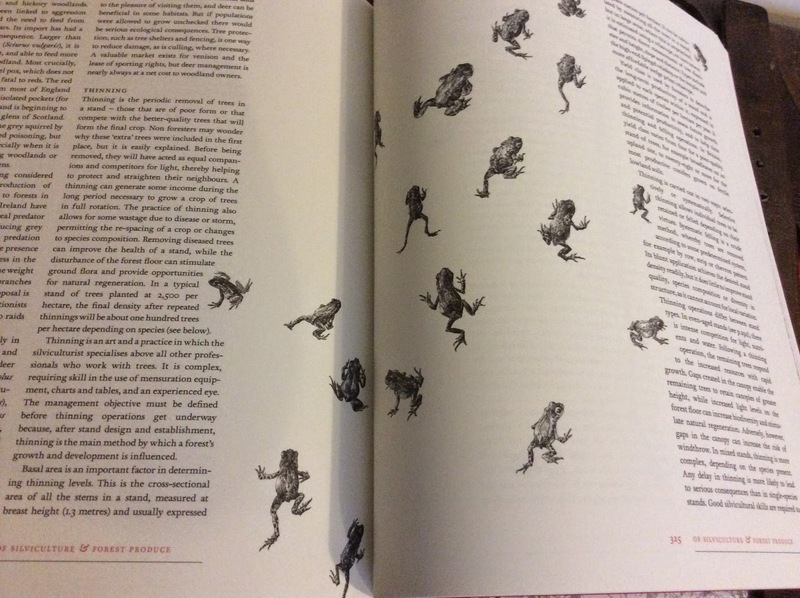 The second issue of Shiny New Books is live (there's a lot to look at) including bits I've written. 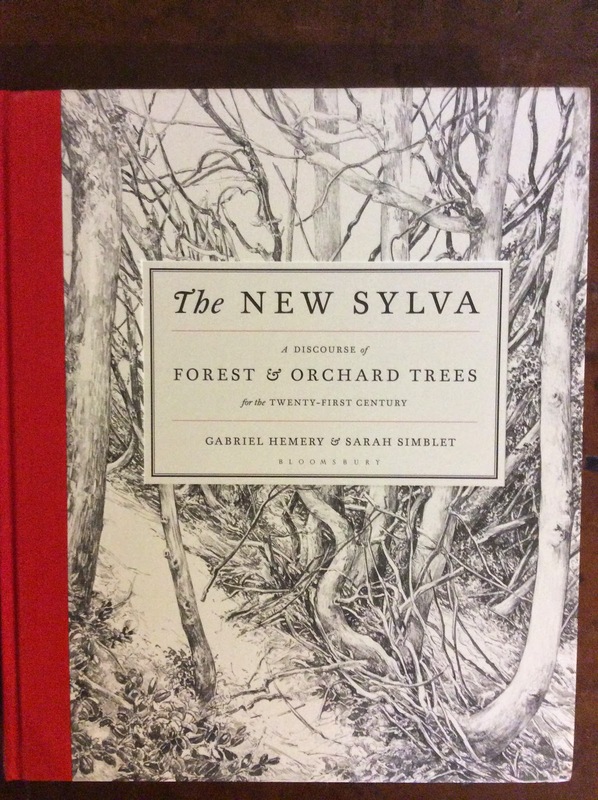 Please go and look at this bit http://shinynewbooks.co.uk/non-fiction02/the-new-sylva-a-discourse-of-forest-and-orchard-trees-for-the-twenty-first-century-by-gabriel-hemery-and-sarah-simblet/ for The New Sylva. 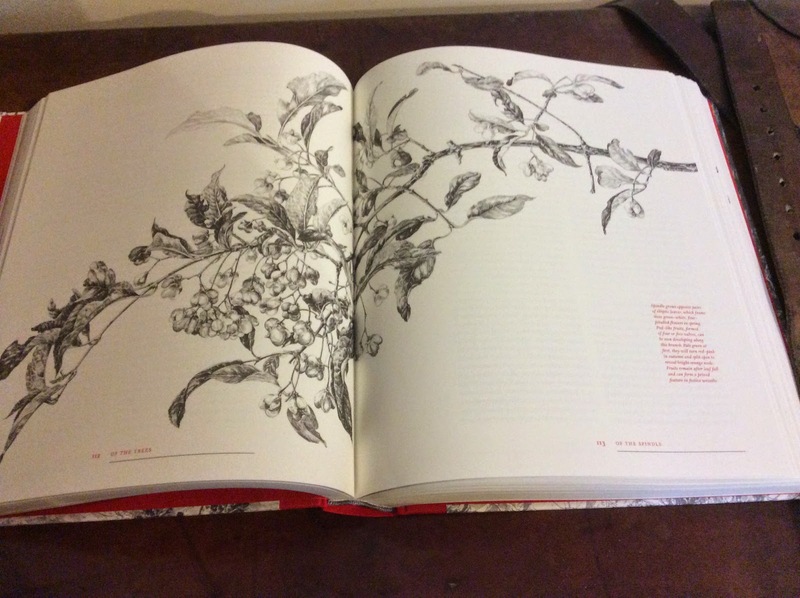 It's one of the most beautiful books I've seen in a long time as well as being inspiring reading. 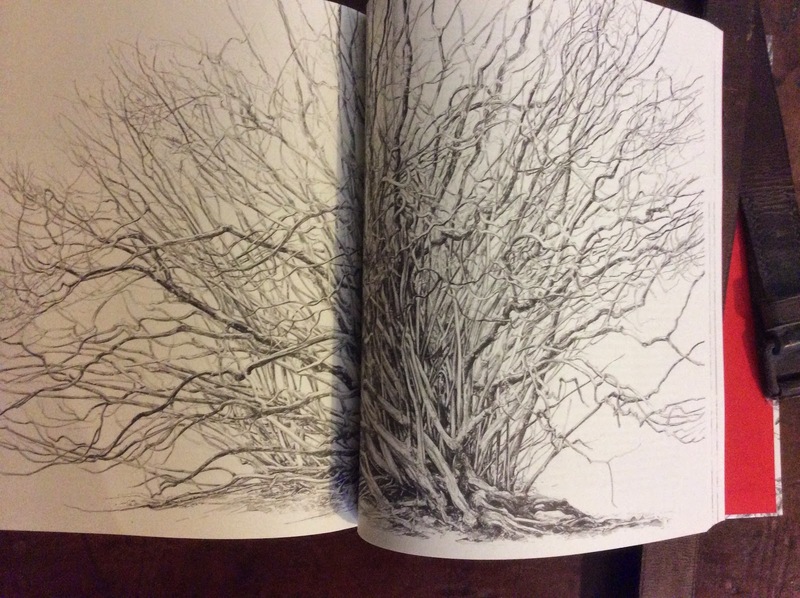 The Shiny New Books review didn't have a lot of room for pictures so here are just a couple of snaps that I hope give a flavour of it. 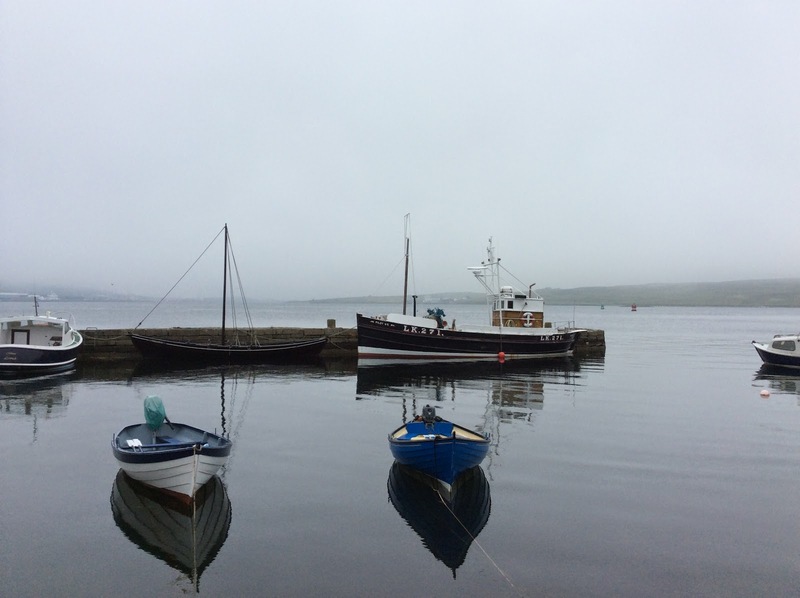 After what I can only politely refer to as a challenging spell at work my holidays have finally arrived and I've decamped to Shetland for a couple of weeks. I've come up on my own to stay with family and with every intention of reading my way through a pile of books. I've also come armed with an iPad and good intentions regarding blogging but tonight it's all about the scenery. The view from my windows at home all look out the same way - onto a car park - and whilst I suppose there are possibly uglier car parks in the world I've yet to see a really pretty one. Most of the windows at my fathers house look the same way too. Not onto a car park though, and whilst there may be better views out there I like this one very much, by any standard it's better than a car park. 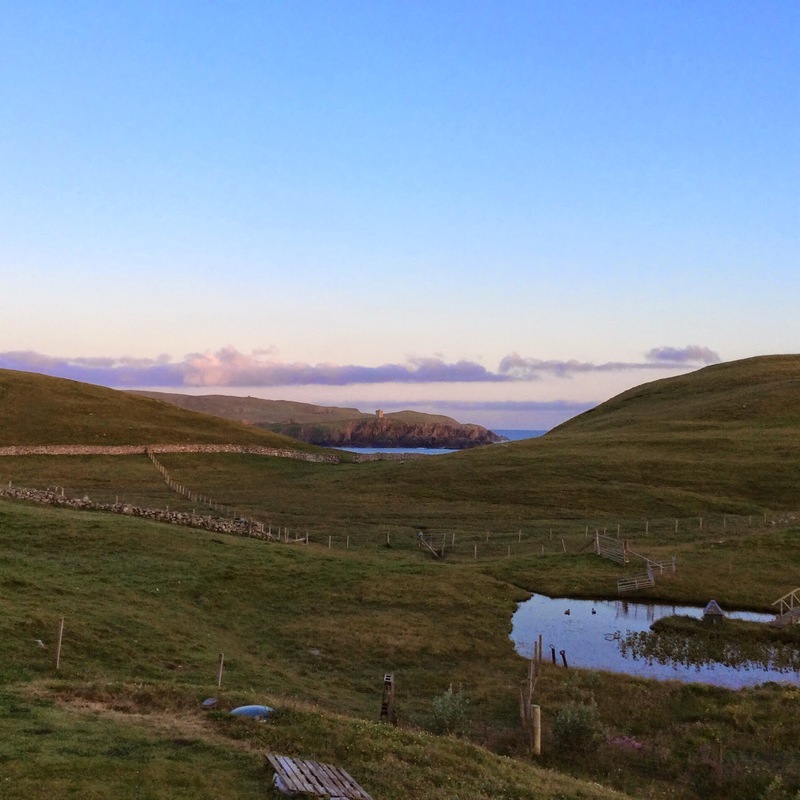 I don't come to Shetland for the weather which is just as well because it was tipping it down and a wee but nippy when I got here, but after months of city roofs a sky like this is still a relief, and after days stuck in a humid airless warehouse dealing with wine a bit of fresh air is welcome. Or even now an hour later when it looks like this. I will read all those books I packed just the moment I manage to stop staring out the window.